Hey friends! Sorry for the radio silence this week, I'd like to blame it on our busy week but I'm sure I sound like a broken record by now. Stephanie, Laura and I took a break from the Can't Live Without It linkup, it was a last minute decision because we were all swamped. Summer is shaping up to be a crazy one for everyone apparently and not just us! + These oatmeal chocolate chip cookies need to get in my belly. Now. + We're celebrating Father's Day this weekend since R and I will be visiting family next weekend. I think we're going to explore downtown a little and do lunch, we don't get down there as often as we'd like nowadays! + This sweet boy is 4 months old! 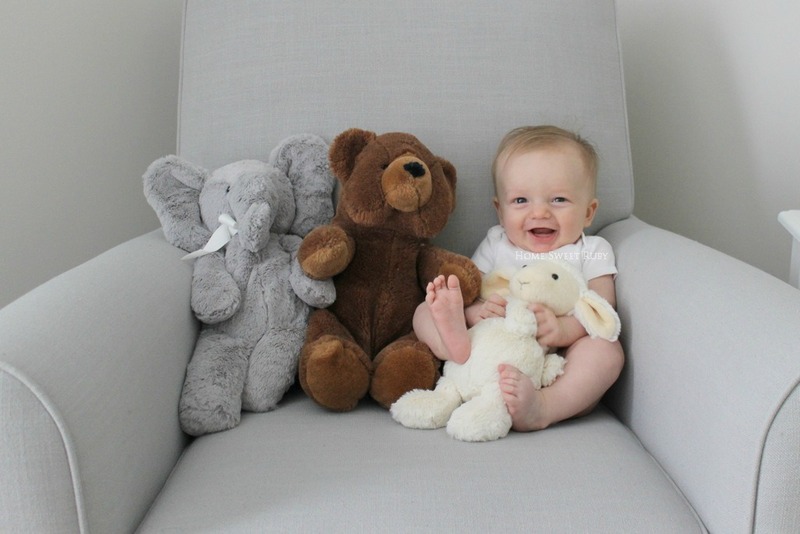 I took some photos of him yesterday and he has the biggest smile in every.single.one of them, even the one where he fell over on his stuffed animals. ha! Today, on the other hand, we've got lots of cuddles on the menu thanks to his vaccinations. + I've been trying to decide on some light fixtures for our living spaces and I never realized how good the prices are for lighting at World Market, especially if you get their coupons! I wish I could switch everything over to silver but our kitchen is dark so I think we need to stick to the bronze color scheme. Loving this lantern for our entryway.. what do y'all think? + HALO SleepSack or Swaddle Giveaway Winner: Congratulations to Nikki M. for winning the HALO SleepSack giveaway! And a huge thank you so everyone who entered and for following along with Home Sweet Ruby! I hope you all have a great weekend! Sleep in for me if you can, k? Thanks! Absolutely love that lantern fixture! It is very modern and pretty! My goodness he is cute! I may have to get myself a pair of those jorts ;) I've been searching for a pair!! such a cute picture of him! I LOVE that light fixture! We actually bought it for our entryway but it was way too big and we have low ceilings, so gorgeous though. Enjoy your weekend! 4 months! Wow! Ours turned 3 months old today. Time flies! LOVE that fixture for your entryway, it would go so well!! Hope you're having a great weekend! 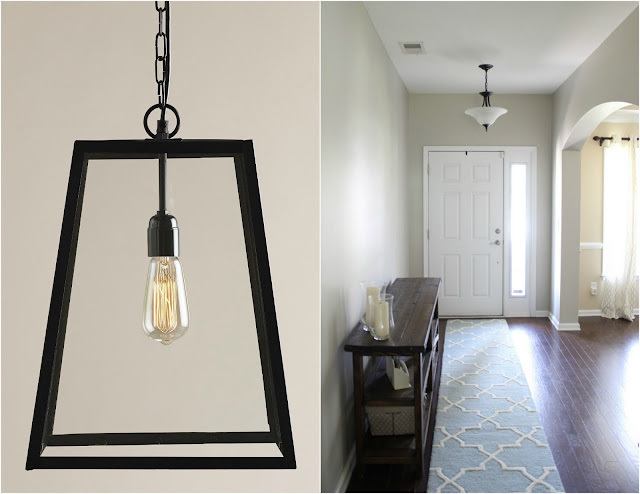 I love the lantern for your entryway - great choice!! Hope you had a wonderful weekend!